We choose to install a Garaga garage door not only for their durability but also for their weathertightness – see why! For over 30 years, Garaga has been manufacturing overhead doors that meet the industry’s highest standards. A Canadian family-owned company, Garaga has an unparalleled reputation for product quality and reliability. Garaga employees deliver impeccable service to their customers! GARAGA garage doors are built to withstand the harsh winter conditions of our area. The type of door insulation needed will depend on a few things, for instance: Is the garage attached to the home? Is there living space above the garage? Indoor and outdoor temperature fluctuations can be extreme so it’s most important you look for greater insulation properties in your door. Quality perimeter seals, bottom seals and reliable interlocking joints are very important factors, not to be overlooked. 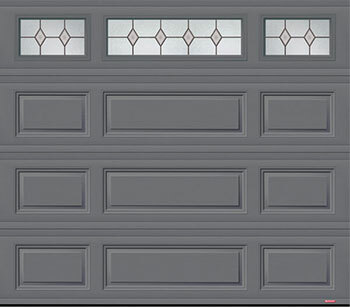 Watch this video: Garage Doors Are a Tough Breed and see how much power is required from a garage door and why it is essential to select a top quality brand like Garaga! 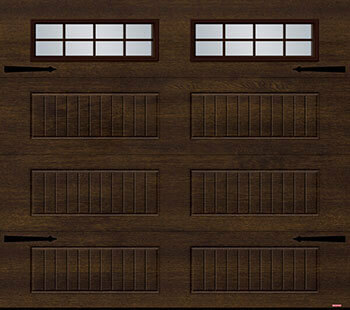 Garaga offers many panel designs to choose from that will add a distinctive look to your home. MIX rectangular raised panel: the MIX raised panel, available on the Standard+ and Acadia 138, gives you a wide variety of sizes and rectangular motifs to suit your door. Set your home apart from your neighbours with this design! 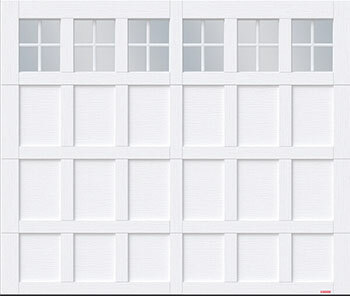 XL rectangular raised panel: the panels have elongated rectangular motifs offering simple design and pure lines. 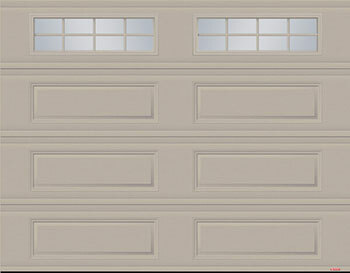 Offered for the Standard+, Acadia 138, Uniforce, Dualforce and Triforce doors, this design is a timeless beauty. 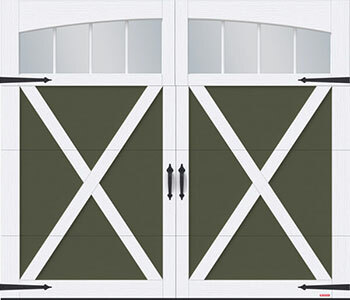 LP carriage house style: this model is exclusively available for carriage-house style doors, such as the North Hatley and Acadia 138, with the option of wider rectangular motifs on your door. Eastman: the Townships collection offers a carriage-style look but is not out of place on a contemporary home. The collection is offered in 6 different models with PVC overlays and decorative hardware for a touch of elegance and tradition. Cambridge: there are 3 models offered that blend perfectly with traditional architectural style homes: stretched, traditional or condensed, you are sure to find the perfect match to enhance your home’s curb appeal. By keeping their promise of “Excellence in Customer Care”, Garaga created “The Garaga Experts”, a network of professional dealers that recruit only the best technicians. In order to be part of this network, they must meet several strict criteria related to qualifications, expertise and reputation. At Soo Overhead Doors Inc, a trusted company, you can expect superior service because we are members of the Garaga Experts network. Whether you need repairs, maintenance or a new garage door, we can assist you! Please visit our image gallery to view some of our projects. We offer free estimate so call us today!